England, Anno Domini 1190 – Richard the Lionheart is held prisoner and his brother, Prince John rules over the simple peasants with an iron hand and this pure force of arms forces them to bend to authority. Only one man takes up the struggle against the oppressors, supported by a small band of brave and loyal followers. His name; Robin Hood. 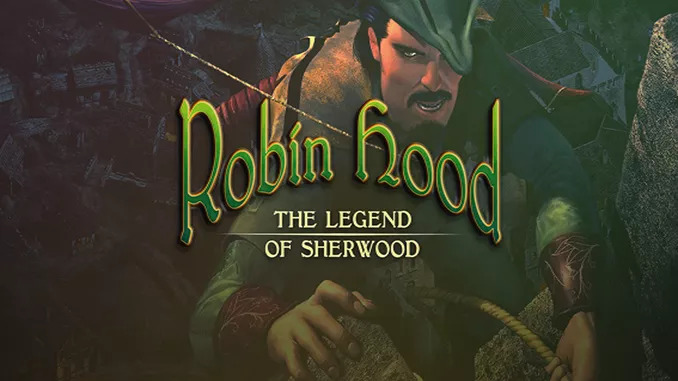 Roam the dense foliage of Sherwood, come face to face with royal trouble and battle against Prince John’s forces as you take on the role of legendary nobleman, Robin Hood. Team up with Little John and the rest of the Merry Men as the battle for the King’s throne ensues in this stealth-based, real-time strategy game. Windows XP/Vista/Windows 7, 1 GHz Processor (1.4 GHz recommended), 512MB RAM, 3D graphics card compatible with DirectX 9.0c, Mouse, Keyboard. England, Anno Domini 1190. Richard the Lionhearted is held prisoner while his brother, Prince John Lackland, rules over the peasantry with an iron hand. Through pure force of arms, he has bent the populace under his tyrannical authority. Only one man is brave enough to take up the struggle against the oppressor, supported by a small band of merry men. Lags the same as steam version. thank u very much… I ve been looking for this for ages!! me regresaste a mi infancia, gracias.